CMS SupaTrak manage the Optimised Waste & Logistics partnership, known as OWL, and run the OWL events programme. OWL is a non-profit making organisation* and also raises money for good causes. OWL brings together suppliers from the waste, transport and logistics industries to develop products and services that are truly integrated. As individual organisations OWL partners are specialists in their field and already successfully supply stand-alone products. By working in partnership with each other, and with professional organisations such as FORS, CILT, CIWM and Aquarius, OWL is leading the way in both the development of fully-integrated solutions and driving up standards of safety and compliance. To optimise opportunities to reduce the impact of waste on the environment locally, nationally and globally. 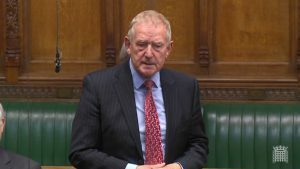 Barry Sheerman, MP is Chairman of OWL. Barry has a long career working in road safety and currently chairs the Global Network for Road Safety Legislators and is Chairman of the UK’s Parliamentary Advisory Council for Transport Safety. Raising awareness of air quality issues and how these may be monitored is now a focus for the OWL (Optimised Waste and Logistics) Partnership. Air pollution is now a major health threat and most councils have declared AQMAs (Defra’s air quality monitoring areas). OWL has expanded its focus for 2019 to incorporate air quality monitoring on its agenda of developing an integrated approach to transport safety, compliance, and sustainability. The OWL initiative is regarded as instrumental in driving up standards of safety and compliance and regular roadshows around the country bring together public and private sector organisations.